In part one of our series, we explored the global food system’s role as a driver of environmental change. In this article, we focus on the other side of the coin — the vulnerability of our food system to a changing climate. While the relationship between food systems and the climate is complex, climate change undoubtedly challenges our ability to produce and distribute food. A few recent extreme weather events illustrate the gravity of this impact. In 2011 the UN declared famine in southern Somalia after two consecutive seasons of low rainfall made that year the driest since 1950. Dramatic crop and livestock losses affected the livelihoods of 18 million people throughout the Horn of Africa, causing hundreds of deaths and driving thousands of refugees to flee their homes. In 2012 the mid-western United States suffered the most severe drought in a quarter century, an event that led to record crop losses and is still affecting retail food prices through the knock-on affects of animal feed costs. In early 2013 Queensland, Australia endured devastating floods causing an estimated $1.6 billion in damage to the agricultural sector. Food prices were estimated to rise 200% in the short run. 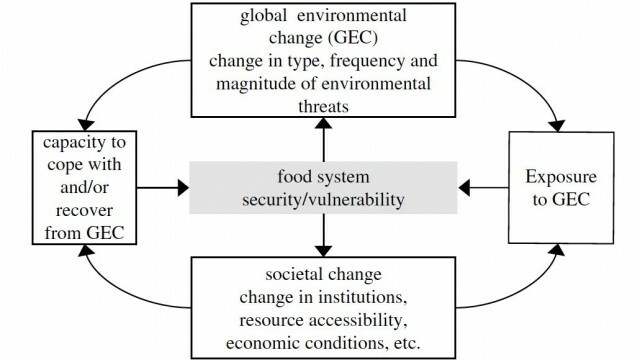 Figure 1: Factors determining the vulnerability of food systems to global environmental change (GEC), from the research group GECAFS. 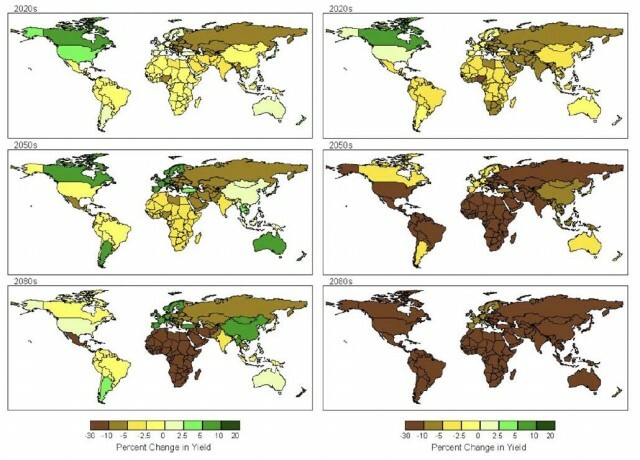 Figure 2: Potential changes (%) in national cereal yields for the 2020s, 2050s and 2080s (compared with 1990) under the HadCM3 SRES A1F1 with and without CO2 effects. See http://pubs.giss.nasa.gov/abs/pa06100c.html. The food system will also be stressed by heightened climate volatility. The anticipated increased frequency and severity of both droughts and floods will negatively affect yields, while isolated storm events also have significant impacts: the FAO estimates Typhoon Haiyan to have inflicted more than $110 million of direct crop losses. 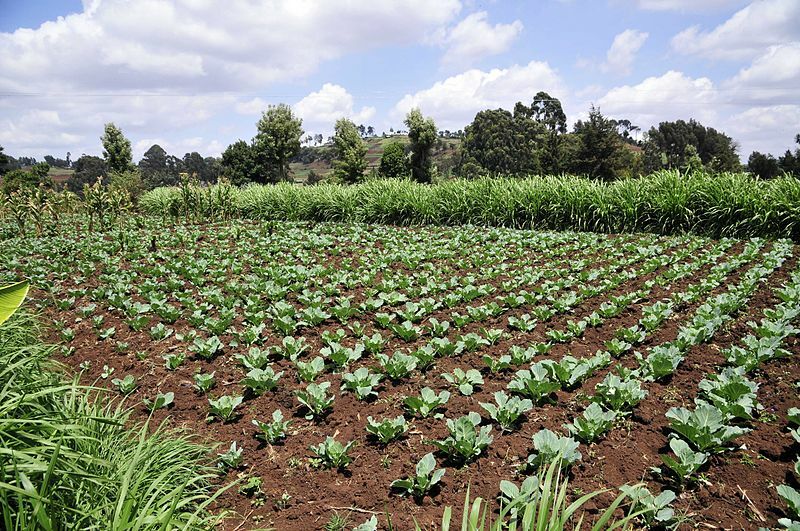 Even in areas like East Africa where total precipitation will likely rise, the potential gains of increased water availability will likely be outweighed by the impacts of volatile weather. In addition to the biophysical heterogeneity of climate impacts on regional productivity, the capacity of food systems to cope with environmental change is socio-economically determined and regionally asymmetrical. Where local institutions have limited capacity to invest in infrastructure that facilitates adaptation to existing climate stress, such as water storage to cope with precipitation variability, the impacts of heightened variability will be un-cushioned. This inability to insure against existing climate conditions is called the “adaptation gap” — and Sub-Saharan Africa is widely recognized as having the most daunting gap between actual and required adaptive capacity. In poverty-stricken regions, populations have limited financial savings and the impacts of severe weather events are harder to recover from than in regions where insurance mechanisms make the beginnings of a recovery possible: economic development is recognized as the most powerful driver of adaptive capacity. Thus, the regions whose agricultural sectors are most likely to be negatively impacted by climate change are precisely those whose adaptive capacity is lowest: developing countries in lower latitudes. As discussed in our previous post, climate and food interact beyond agricultural production alone. Warming also increases demand for cold storage and renders storage unsafe in humid regions with limited refrigeration capacity. In nations with inconsistent electricity supplies, extreme weather events pose particularly high risks to storage systems, again highlighting the relevance of socio-economic asymmetries. Flooding threatens both inventories and infrastructure, with coastal infrastructure particularly vulnerable: one study estimates that sea level rises of 61cm (the higher end of IPCC predictions) would negatively affect 64% of the U.S. Gulf Coast ports, with large sea surges impacting 98% of ports and 20 airports, to say nothing of bridges and roads. The ability to effectively manage such infrastructural challenges demands state institutions with capacities and resources that are not universally available. Food system vulnerability has important social and political implications too. Disruptions to the production and distribution of food drive price volatility and reconfigure relationships between eaters and their food, often to their dismay. The food price crises of 2008 and 2011 attest not only to the rise in price volatility, but also to the social consequences of such volatility; the cost of food was identified in 2011 as a factor that fueled the political upheaval that has swept across the Arab world. While these projections are complex and uncertain, the need for food systems to adapt to the impacts of climate change is clear. This is particularly true in the developing world, where capacities to cope are lowest. 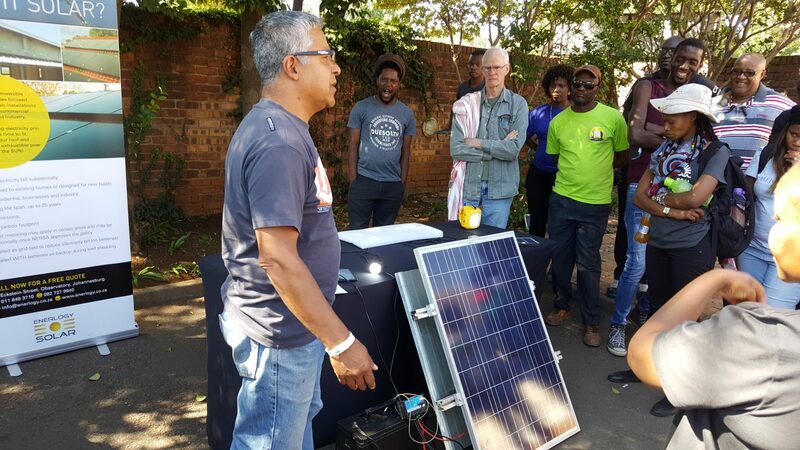 For consumers, researchers, and policymakers seeking to better understand and develop solutions to these challenges, feedbacks within the linked systems of climate, food, institutions and infrastructure need to be central. While the need to adapt to a changing climate is clear, the appropriate path to success is contested. The question of what agriculture, food distribution, and consumption should look like in the 21st century remains hotly debated but unresolved, as actors from a range of perspectives contest the appropriateness of a plethora of possible technologies and strategies. We will explore some of these potential pathways in our third post — stay tuned! Image Credit: Neil Palmer Photography via Wikimedia Commons.